The best 2019 racing sports watches featured in motorsport focused top gear magazine. 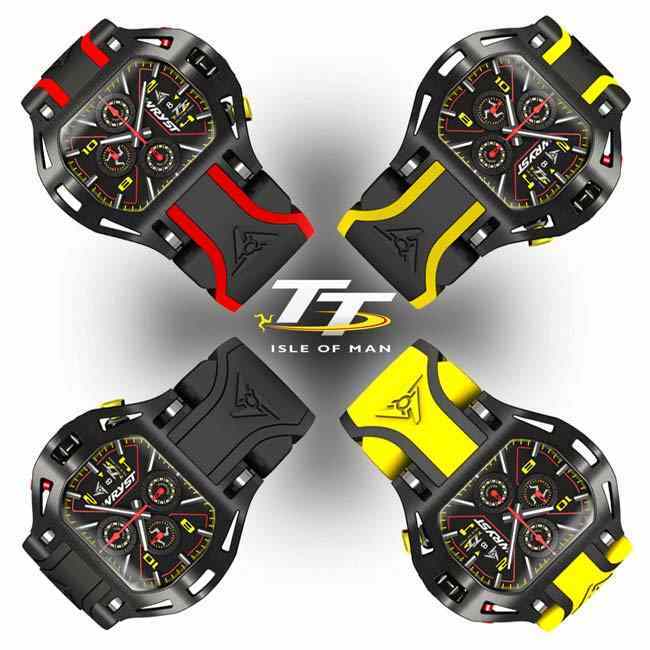 The Wryst Isle of Man TT watch is featured not once, but twice! "Rolex is by no means the only watchmaker doing this ‘win race, get watch’ thing, though none other does it to quite the same degree, and none has obtained such legendary status. Wryst, for example, has sponsored the Isle of Man TT since 2015. You can actually buy its so-named special edition, but IOM winners get one free. TAG Heuer presents the winner of the Indy 500 with a watch, and before them, Maurice Lacroix did the same. And of course, there’s the relationship between Chopard and the Mille Miglia." The picture of Pokerstars Senior TT 2018 race winner Peter Hickman kissing the Isle of Man TT trophy while wearing the Wryst TT watch is also featured. "Do you want to stand out? This Isle of Man TT version of the Swiss Wryst reverts to motor racing on the famous British island and offers for less than 1,000 euros a Ronda quartz chronograph in rather a bright color and distinct form. We find it cool! The exclusive special edition Wryst Isle of Man TT motorsport watch is available. Still in stock are five different TT watches with different bracelets. While it is still possible to purchase this timepiece celebrating the world's fastest show on earth, stocks may not last... it is featured in the best 2019 racing sports watches top gear.